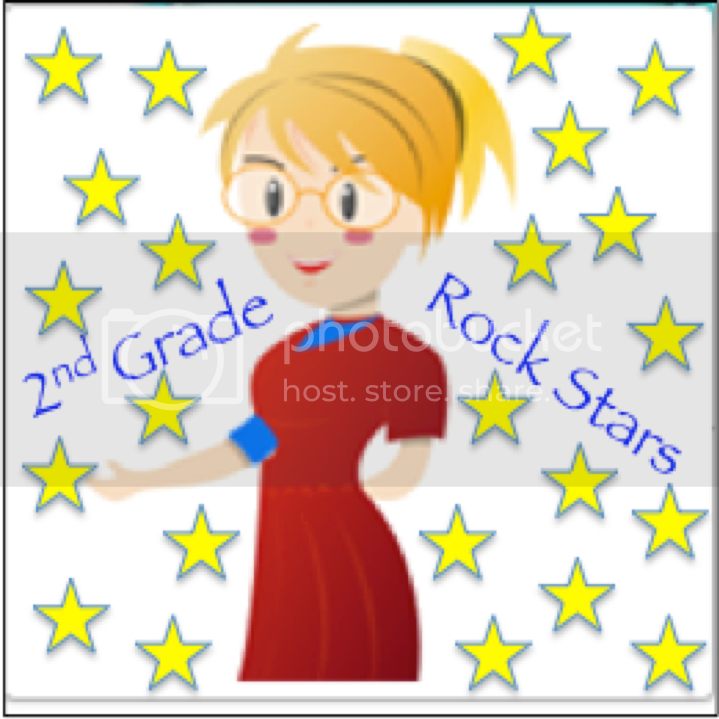 2ndGradeRockStars.com | That Kind of Week…and a Friend Saves the Day! That Kind of Week…and a Friend Saves the Day! Have you ever had THAT kind of week?? This week has definitely been THAT kind of week and it is only Wednesday!! Last week I was observed by our Superintendent and met with my Assistant Principal on Monday so she could let me know what went well and what I need to work on. I was then informed that people from outside of the building were coming this Friday to observe me yet again. WHAT? Before we left school on Monday, we were reminding that it was open house for parents on Wednesday morning and to make sure we had a great activity planned. Tuesday was no school for Veteran’s Day!! I had the whole day to plan (not relax) my activity for the parents and for my observation on Friday. Did I mention that Thursday is our Parent Teacher Conferences until 8:00 p.m. and that my observation in Friday morning at 8:45? WHAT?? So I spent most of my day planning for my Friday observation when I realized that I didn’t have an awesome activity for my parents. In case you don’t know, I am neurotic!! I can admit it. I stress over everything and over plan for everything. It must be part of my DNA. 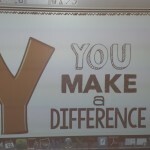 For Meet the Teacher Night, I had a 32 slide presentation. Please tell me that it is normal!! I finally started to relax, a little. I had a great activity to work on when my parents came today. My kids and parents LOVED it SO much that I just had to share it with you. A GREAT BIG THANKS to Matt from Digital: Divide & Conquer for saving my neurotic life! I used his Turn into a Turkey activity and it was such a big hit. I put the T U R K E Y posters up on my Smartboard and the parents and I discussed each letter and how the letter applied to their own life. Then my kiddos went back to their desks and began their writing activity. 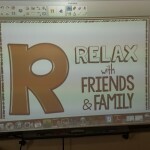 They talked about the letters in TURKEY and what each letter stood for with their partner and parent. Then, my kids started to write. They were so excited. I love to see my students excited about writing. 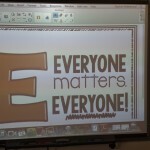 The best part… The activity was already differentiated! 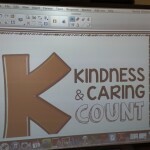 I didn’t have to break my head and think of how to differentiate the activity for my 2nd graders. 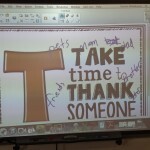 My struggling students were given the letters in turkey without lines. 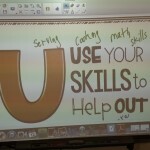 I had my students write around the letter about how that letter applied to them. 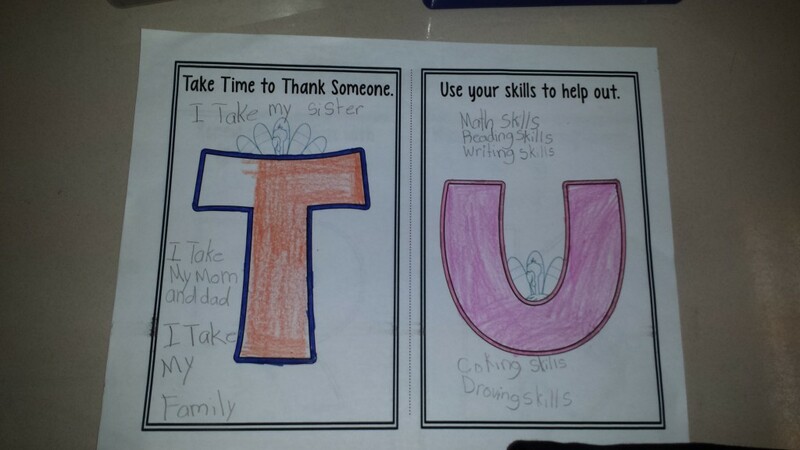 For my other students, I gave them the letters that spelled out turkey with lines. 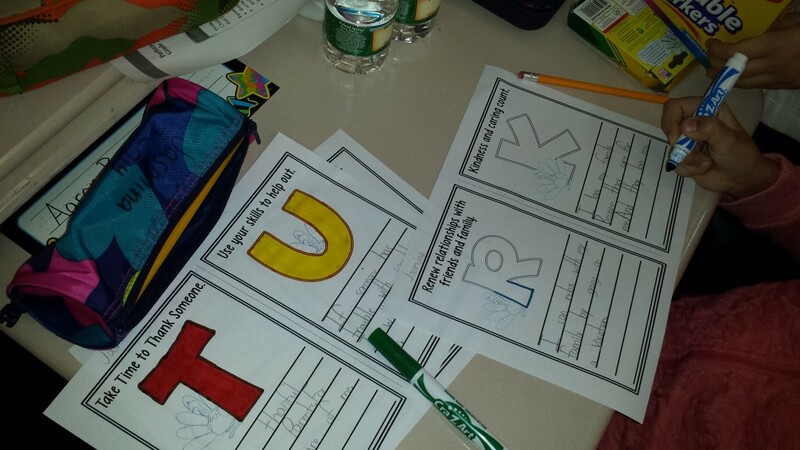 Students wrote about how each letter applied to their life and gave examples. 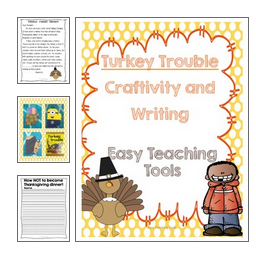 You can click here to check out Turn into a Turkey at Digital: Divide & Conquer’s blog. I promise, you won’t regret it! 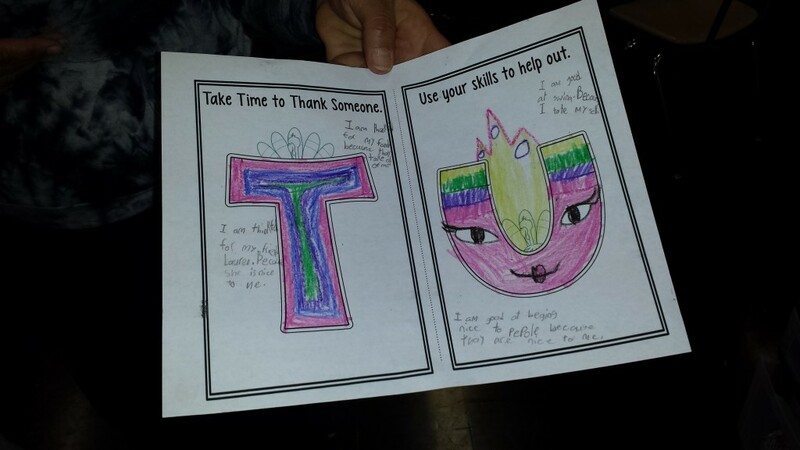 Besides having an awesome activity to work on while the parents were in the classroom, I was also given a great craft and writing activity that I sent for homework. 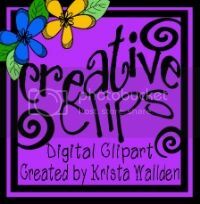 Click below to check out the craftivity and writing. I can’t wait to share it with you next week! I am so glad that your family day was such a success. 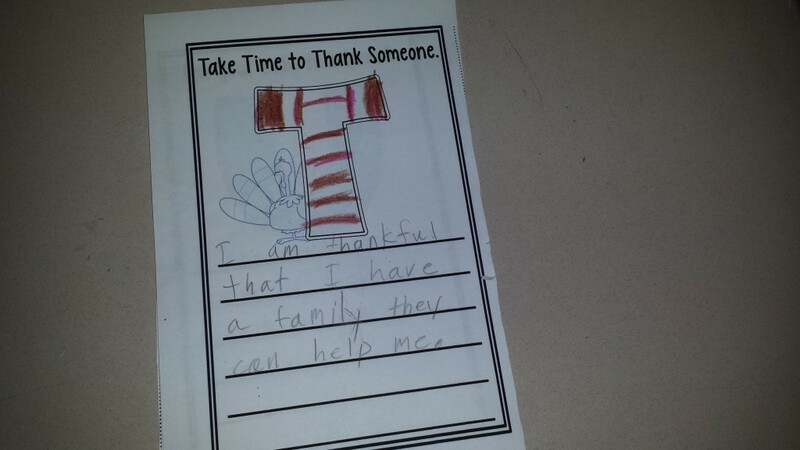 I can’t wait to see your turkeys! I am excited I found your blog! I nominated you for the Liebster Award! Check out my blog for more details!! 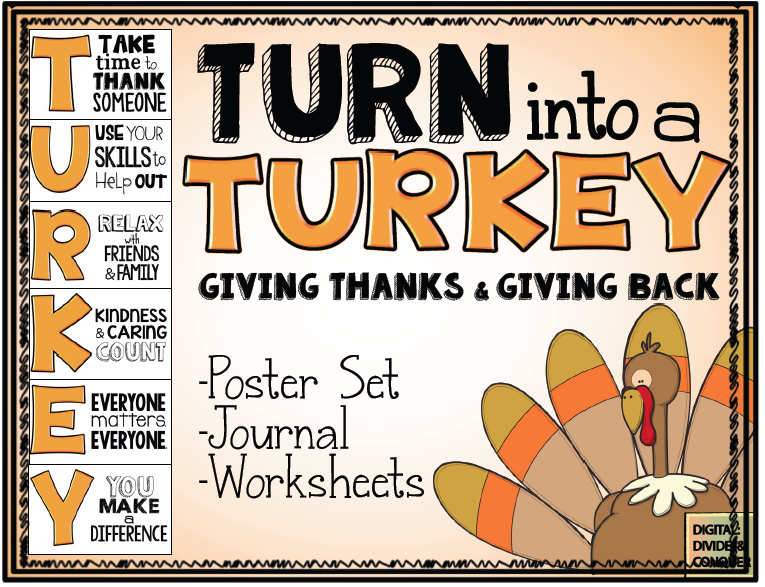 Pingback: 2ndGradeRockStars.com | Some Thanksgiving Fun!